Perfect as a hydrator or massage medium, this cream leaves skin deeply moisturized and radiant. Formulated with certified organic ingredients such as Argan Oil from Morocco, Olive Oil, Kelp Extract and Lemon Fruit Extract, BCL SPA® massage cream is loaded with anti-oxidants and vitamins for healthy skin. 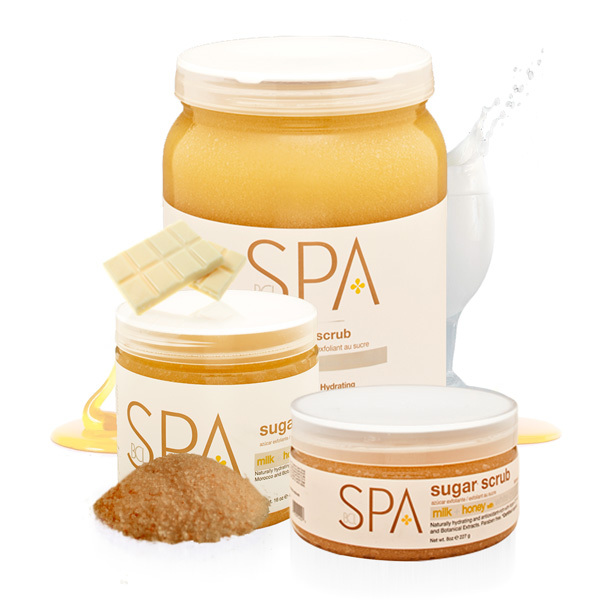 Use as the final step in one of our signature organic treatments or alone as a skin hydrator for hands, feet and body. *Step 4 of our 4-Step System. Perfect as a hydrator or massage medium, this cream leaves skin deeply moisturized and radiant. Uniquely formulated for dry and sensitive skin, Jasmine is known to be non-irritating, incredibly stress relieving and full of antioxidants. Organic Coconut Oil is high in Vitamin E and fatty acids which replace essential moisture, keeping skin smooth and protecting against cracking and dryness. Apply to hands, feet or body. Massage untill fully absorbed.